RALEIGH, N.C. - May 9, 2016 - PRLog -- Headway Workforce Solutions, a North American provider, revealed the launch of its Headway in Research (hiRe) app, optimized for iOS and Android, to complement the website inaugurated earlier this year. The Headway in Research (hiRe) app not only enables job-seekers in the research sector to efficiently apply for employment via mobile devices, but it also facilitates ongoing management of current and future prospects. 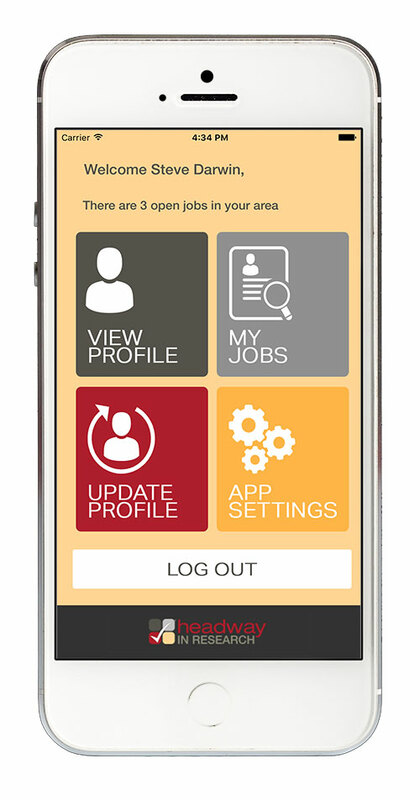 With a database of over 800,000 candidates, and the rapid posting of available research positions nationwide, the app provides an immediate connectivity between job seekers and the employers who require them. After creating an online profile, employment-seeking candidates can investigate available positions within a designated mileage, and quick-apply to those of their choice with a touch of the button. The application is subsequently forwarded to the recruiting team who follow up with individual candidate interviews. This process is rendered even more efficient for former and current employees (of which we number 46,000) who have already been through this initial vetting process. 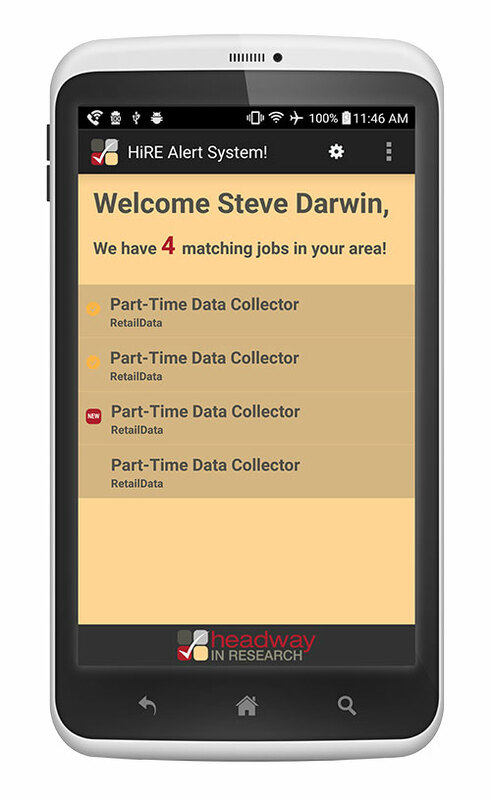 Headway's CEO J.P. Sakey elaborates: "We are very excited about the hiRe app as it can potentially generate hundreds of interested candidates that are available to work on a particular project, at a particular time, in a particular place. It is a tool that will be immensely useful to those looking for jobs in the research sector and for our clients who need a significant number of employees on a project-by-project basis." Headway Workforce Solutions currently partners with leading research companies and institutions nationwide. Headway Workforce Solutions is a North American workforce solutions provider that has been serving an array of Fortune 1000 businesses since 1974. Headway's technology driven centralized service delivery model connects organizations with superior talent and workforce solutions that improve performance through highly effective and more cost efficient recruitment, employment, contingent labor and HR activities. To learn more about the company visit www.headwaycorp.com and job seekers can visit headwayinresearch.com (http://www.headwayinresearch.com/) to learn about job opportunities, career advice and employment information.